Levi and I will begin our official “4 Down Territory NFL Draft Guide” next week. 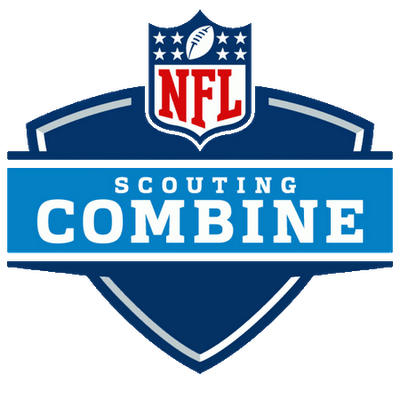 To unofficially kick it off this week, however, I decided to bring you my top ten NFL combine performances. Enjoy! Khalil Mack continues to pick-up momentum as a contender to be the number one overall pick in the draft. He did nothing to slow-down that stock at the combine. He finished second among linebackers in both the vertical and broad jumps, 4th among linebackers in the 40-yard dash, and 5th in the 20-yard shuttle, also among linebackers. The former Auburn tackle turned heads early on at the combine with an unofficial 4.88-second 40-yard dash. Although his official was a little slower (just like everyone else’s except Dri Archer), he still managed to finish second among offensive linemen. He also finished in a tie for third in the broad jump. 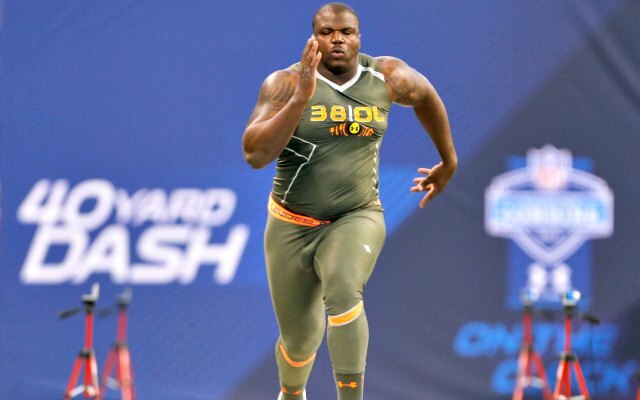 Lewan was the only offensive lineman to outrun Robinson at the combine. He also had the best broad jump of any offensive linemen. Include that alongside his vertical jump that was 3rd and a 4th ranked 3-cone drill, and Lewan had the best combine of any offensive lineman. 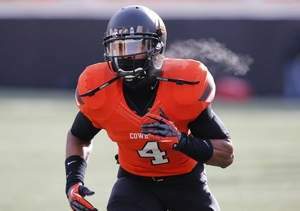 Gilbert was already thought of as one of the top defensive backs in the draft class coming in, and can make an impact in the return game having returned six kickoffs for touchdowns while at Oklahoma State. He had the fastest forty of and cornerback and tied for 3rd in the bench press. A strong argument could be made that Johnny Football belongs higher on this list; however, the two numbers that held him back were his height and 40 time. That being said, he is still tall enough to play quarterback in the NFL, and still fast enough to outrun most defenders. He also displayed is all-around athleticism by finishing in the top 5 among QBs in the 40-yard dash, vertical jump, broad jump, 3-cone drill, and 20-yard shuttle, including being first in the 20-yard shuttle. As most of you read yesterday, Donte Moncrief had a very impressive combine. I can’t say much that Levi didn’t say yesterday, so I’ll leave it at what he said. Dri Archer is that player. He ran an absolutely blazing 4.26-second 40-yard dash. 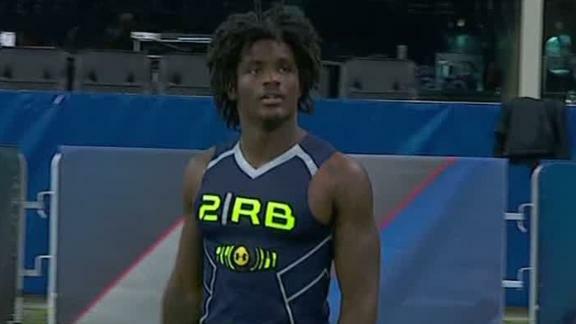 For the record that’s only two one-hundredths of a second away from Chris Johnson’s combine record. When I started doing my research for the “4 Down Territory Draft Guide”, I watched film on Archer and my first thought was, “This guy can absolutely fly.” He validated that over the weekend. He was so fast that his official was actually faster than his unofficial, that is exceptionally rare. 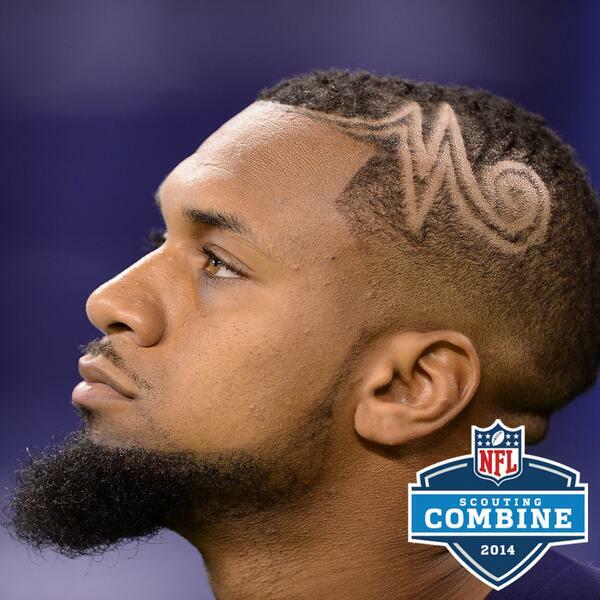 He also tied with Donte Moncrief for the best haircut. The former Virginia Tech quarterback had the best 40-yard dash, vertical jump and broad jump of any quarterback. He also finished second in the 20-yard shuttle and fourth in the 3-cone drill. Oh, and he measured in at 6’6” and had hands that were 10 7/8”. 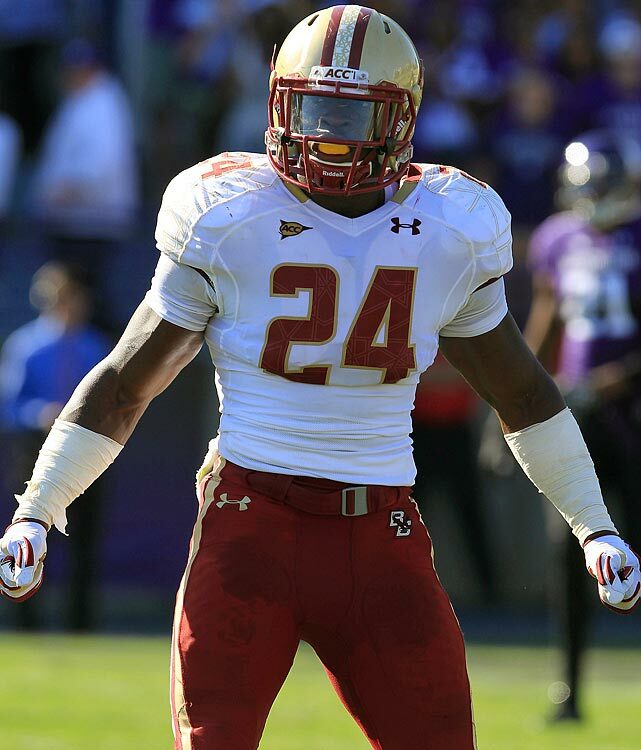 Quietly the most impressive combine was Kevin Pierre-Louis, former Boston College linebacker. He didn’t generate a ton of buzz this weekend, but he should have. He finished in the top 3 among linebackers in the 40-yard dash, bench press, vertical jump, broad jump, and 20-yard shuttle. That includes having the top time of any linebacker in the forty. He also finished 6th in the 3-cone drill.